Tips to finding out how much amlodipine is without insurance and finding the best price. Amlodipine is a generic medication use to treat high blood pressure and angina. It is from a family of medications known as calcium channel blockers. Cash price is usually under $50. Use my price checker to find discounted prices in your area. Then you can print the card or take a screen shot into your pharmacy. 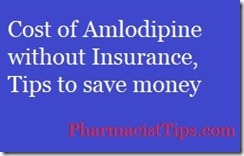 You may also be able to cut amlodipine tablets to save money. Ask your pharmacist if your tablets are suitable for cutting. Read more about cutting tablets. Ask for a price quote for larger quantities. Some pharmacies offer a price break when large amounts are purchases. 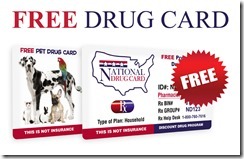 Discount cards are a great way to get fair prices on your medications when you don’t have insurance. Always talk to your Doctor and Pharmacist if you cannot afford your medication. They may be able to assist you in finding cheaper alternatives.